The 17th Annual World Preclinical Congress focuses on the latest trends and technologies impacting drug discovery and translational research. The Congress offers a unique opportunity for chemists, biologists, pharmacologists, cancer researchers, neuroscience scientists, toxicologists, bioengineers, screening experts and translational scientists in industry and academia as well as technology providers to come together and exchange expertise and opinions. 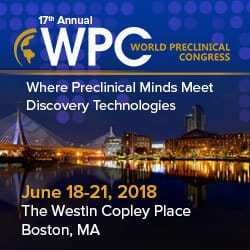 World Preclinical Congress is a key networking event yielding new partnerships that accelerate preclinical research and translation across all therapeutic areas.